If you asked me a few months ago the same question, I would have named you 10 different steps and even given you few tips and tricks. But now I need some myself. Or even better, I need to teach myself. I wanted to write this post to explain what I do to keep my blog alive and running while I have a full-time job and post 3 times a week. It’s not easy and I am starting to struggle a lot but I feel like I still do a good enough job at managing The Nerdy Me. What do you think? BRAINSTORM ANYWHERE and don’t forget to write it all down. The first thing I do, to begin with, trying to brainstorm ideas for blog posts. It usually involves me sitting down – or lying in bed if I’m lazy like that – and scrolling through Pinterest, WeHeartIt, Twitter and just looking out of the window to come up with something genius and entertaining, sometimes motivational or even helpful in some way. I wrote a post on How To Stay Inspired where I covered how I do come up with ideas, so head over here to take a look. WRITE MONTHLY PLAN. After I am full of ideas and am ready produce content, I write down my monthly blogging plan. To put it simply, I have printed monthly calendar sheets in which I write down what on what day I’ll post. I do this in the begging of every month. I include words like write, photos, edit underneath the title so that I could check them after it’s all done. That way I know which post is written, which needs to be edited and so on. I, also, like to note my period dates because why wouldn’t I? Jokes aside. PRE-WRITING IS YOUR BAE. Now that I have all my post titles for the month written down, it’s time to write those posts and do all that creative work. And this is the part I’ve been struggling with recently. I seem to find less and less time for pre-writing and that is annoying and disappointing to me. I know that I’ll start uni in September and all of it will become even harder but I’ll try my best to do so. Anyways, I try to pre-write at least all of the post one week earlier from their airing date. But recently I’ve been writing a post a day or two before which isn’t ideal at all for me. I like to put a lot of effort in my posts and this less time doesn’t fulfil all of my expectations, let’s just say. PHOTOGRAPH ANYTHING AND EVERYTHING. When the post is written and all those links, fonts, and colours are set, it’s time to add photos. I try to have photoshoot days when I photograph tons of photos for my month’s posts – this is where a monthly plan comes handy. Doing so, I have always photos ready to use for the posts and I don’t need to wait for the great lightening or things like that. I edit them after writing the post itself and then I rename them for better SEO – look at me pretending to know all about it – and upload! Then the post is finished, hurray! SCHEDULE, SCHEDULE, SCHEDULE. Now that we have some of the posts written, we can focus on scheduling part which is the most BORING part of all blogging. I schedule my tweets basically everywhere, in the bus, on the trip to somewhere, while eating breakfast, maybe while sitting on the toilet… what? LET’S NOT FORGET PROMOTION. Promoting post is just as important as writing it. After the date for publishing certain post comes, I hit that orange button (update: blue button as for now) and then start posting on Facebook, Google+, Instagram, Twitter, sometimes Pinterest about the newest post. BEING A GOOD COMMUNITY MEMBER. Being a good member means not forgetting to reply to comments, visiting other bloggers, reading posts and leaving GENUINE comments and being a good support for your blog buddies. I try to do this almost every evening for at least 2 hours but life and sleep get in a way sometimes, you know. ACKNOWLEDGE YOUR STATS. Another important thing I try to do every other day is writing my stats down in the sheet I did myself. I know, I’m starting to get professional and all, exciting. I collect my followers count on every social media and Bloglovin’ stats. That way on the end of every month I can reflect on which social media I did the best and on which I need to improve. Also, checking your Google Analytics every other day is a good idea as well. You can check what posts people enjoy the most and from where they find your blog. SET YOUR PRIORITIES STRAIGHT. The last managing step that is probably the most important one is to actually set your priorities. Is your blog important to you? Or is it just a hobby? Take time to really think and decide what’s right for you. For example, The Nerdy Me is something I want to gradually expand to a brand someday and that’s why I try to put a lot of effort and time to it, that means I’ll be missing some sleep and leisure time in order to write posts and continue to provide content. You have to remember that you’ll have to sacrifice something for the things you want. 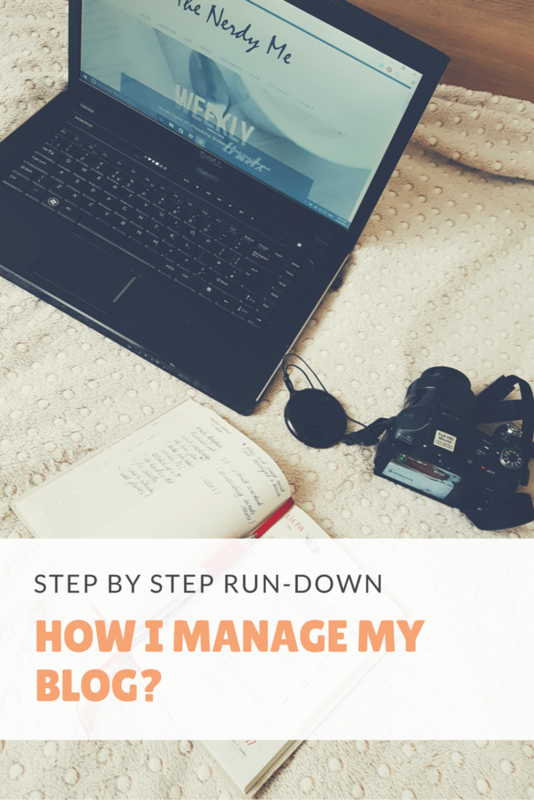 Do I do an alright job at managing my blog? Care to share some tips? 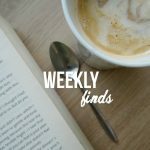 Previous Post Weekly Finds #8 | Inspirational video, blogging tips and a challenge! 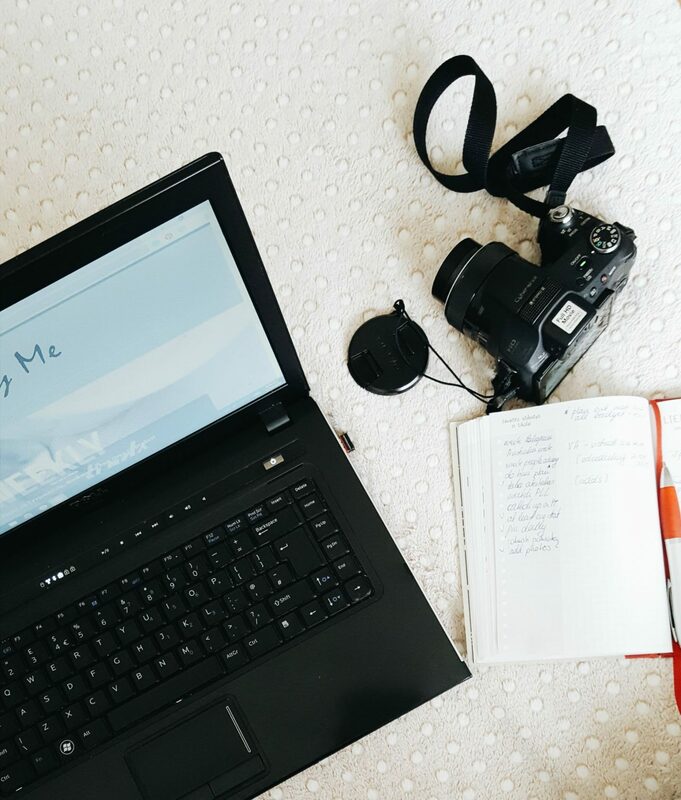 Next Post Weekly Finds #9 | Photography for bloggers and travel tips!